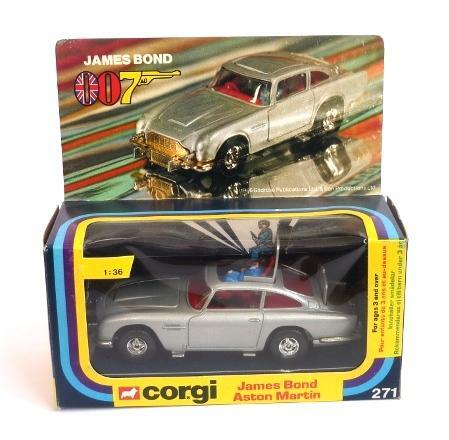 A very nice example of James Bond's classic Aston Martin DB5, the model is in mint condition and has been in my collection for over 20 years. The box is beautiful with only very minor wear, the window is intact and also included are 2 bad guys one of which is still sealed in original bag. There is slight wear to the inner card where the front guns etc have rubbed against the holes. Please take time to have a good look at all the photos.